BC Lion, Marco Iannuzzi has perfected juggling the demands of his busy life. And he doesn’t have much choice, because being a father, a football player, a wealth manager, a husband, a philanthropist and a Harvard graduate requires quite the balancing act. At the age of 26, he has already managed to accomplish so much, professionally and personally with just the right balance, something many families, (including myself) struggle with. 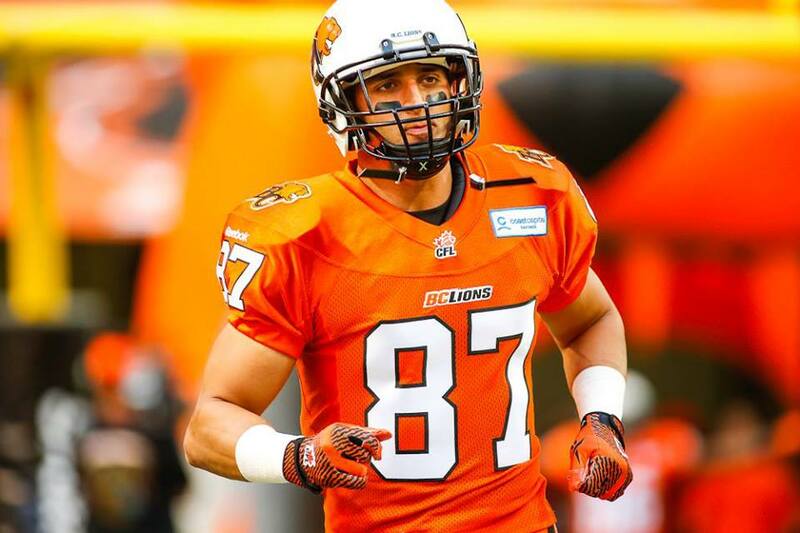 – He is a wide receiver for the BC Lions and a Grey Cup Champion. This means that he is training, playing at football games and travelling for more than half the year. – Marco also works a ‘regular’ job as a wealth manager at RBC. – He is a father to a five-year old daughter, a two-year old little girl and has another little one on the way. – Marco is a dedicated husband to his wife Jenn. – His philanthropy knows no bounds. Marco is involved in countless charities and organizations including Els for Autism, eliminating homophobia in sports, BC Children’s Hospital Foundation, Special Olympics and Make-A-Wish. 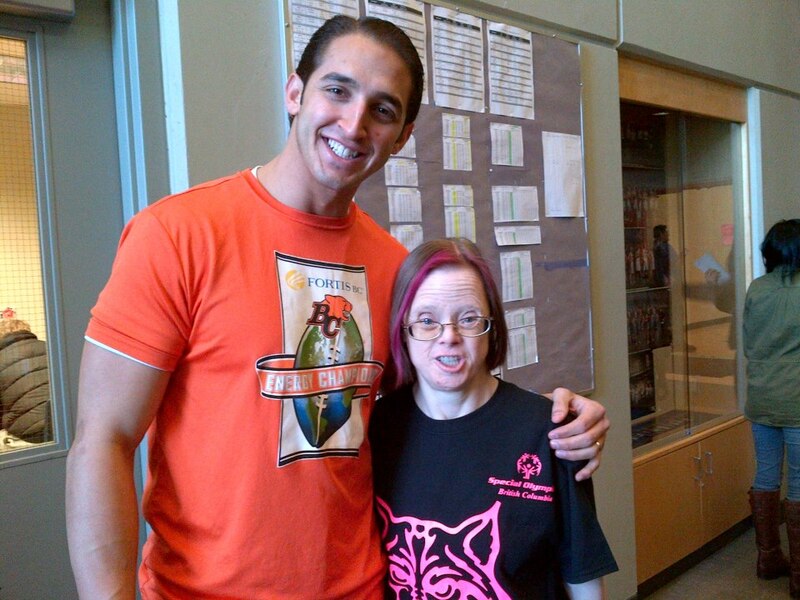 For a full list of all the organizations Marco is involved in and how you can help, click here. – Oh and did I mention that you can book Marco for guest appearances and public speaking? 1. How do you find the time to do EVERYTHING? 2. How do you make sure everything gets done and stay in the right ‘zone’? I schedule everything. I schedule downtime, I schedule business golf games, I schedule family time. I even schedule going to the park with my family. I will put aside 2.5 hours on a Saturday and I won’t do anything else, I’ll put my phone aside and I won’t reply to any emails. I’m not thinking about clients, I’m not thinking about football, for me, I flip a switch. When I’m with my family, I don’t think about anything else. 3. How did you feel about having a family? My wife and I were really excited (when my daughter was born.) We have three children now and we will probably have more. Our children are a big part of our lives…they bring a lot of meaning to our life. My wife and I are really focused on our daughters and we just love seeing them grow. 4. How does being in the spotlight affect your family? 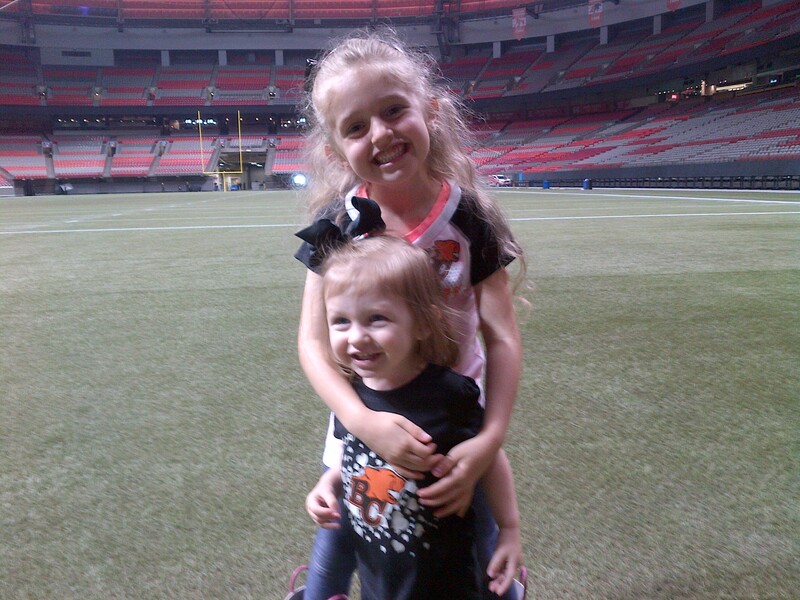 My daughter is five and she doesn’t share with her friends at school that I play for the BC Lions. She’s very humble and bashful about it. The down side is that you are looked at differently as the daughter of a professional athlete. And she’s treated differently by some people in her life. 5. What is your role as a father? I’m the disciplinarian in the family. Aside from that, I’m also very real. We don’t hide anything from our daughters. I explain things to my daughter like she’s an adult since before she could speak… We don’t do baby voices, it’s made my daughter so smart and aware. 6. What is the best thing about being a parent? We love seeing them trying to figure things out. Our two-year old is just learning to talk and it’s awesome to see each day she’s learning something new. I also like to see them fail because if they fail once, the following time they come back and accomplish something and it’s fantastic! And every time they have a new success or they accomplish something, it makes us feel a huge sense of pride, not unlike any other parent out there. 7. What is the hardest part of being a parent? The hardest part is being away from the kids. We’re in a high demand time in our lives and we’re trying to do everything to set it up so that we can spend more time with them in the future. I think we’re doing a good job balancing it. Playing professional sports, I already have to be away from the kids nine times a year for away games, for 3-5 days at a time. I’m also going away to conferences for my investment business, so the toughest part of being a parent is being away from them. 8. How do you keep a good relationship with your wife and stay connected when you have such a busy life? Both of our families are from Calgary so our parent’s come out quite a bit to visit, especially during the season to watch games. When we know they are coming, we schedule date nights. Beyond that, every single night, we put the kids to sleep and then we will spend the last 1.5 hours of the day together. The first half hour we deal with any housekeeping and scheduling of activities and events. Then we spend the next hour just hanging out and watching shows like ‘Friends’ and ‘Seinfeld’ that we’ve already seen before…so we can converse and enjoy each others company. There is so much more I would have loved to talk to Marco about, but my time with him and his 15 minute commute was over as he had to pick up his daughter from school. Family comes first, enough said. Yeah, I thought that was really great too Brooke. I’m glad you liked the post. Wow! It sounds like they have a family very supportive of one another- Marco of the family and his wife, Marco’s wife of the family and her husband. We can definitely all benefit from planning- taking notes! I agree, I need to schedule down time and family time. New Years resolution perhaps? Scheduling was never such an important aspect of my life. It sure is now, and I don’t know how I would survive without it. Can’t imagine with all the extra obligations and commitments he has. Wow. Yes, Marco seems really great at prioritizing and get things done!